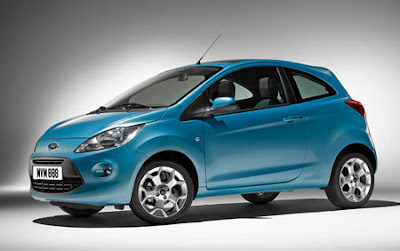 From the "don't worry, the U.S. probably won't get it" files is the redesigned, second-generation Ford Ka. As Ford's smallest vehicle, it's sold in Europe and Latin America. Power will come from a 1.4 or 1.6 liter engine, with a diesel option coming later. Rumor has it that it'll even get an "ST" edition with a turbo. I think this could make a great little option to compete against the Smart and, if it comes over, the Toyota iQ. Granted, the Ka is a little bigger. More info over at Jalopnik.com below.